SR PAULINE QUINN OP srpauline@bpofcourage.org BRIDGES AND PATHWAYS OF COURAGE. In 1981 I started the first prison dog program in the United States in the state of Washington at a women's prison. 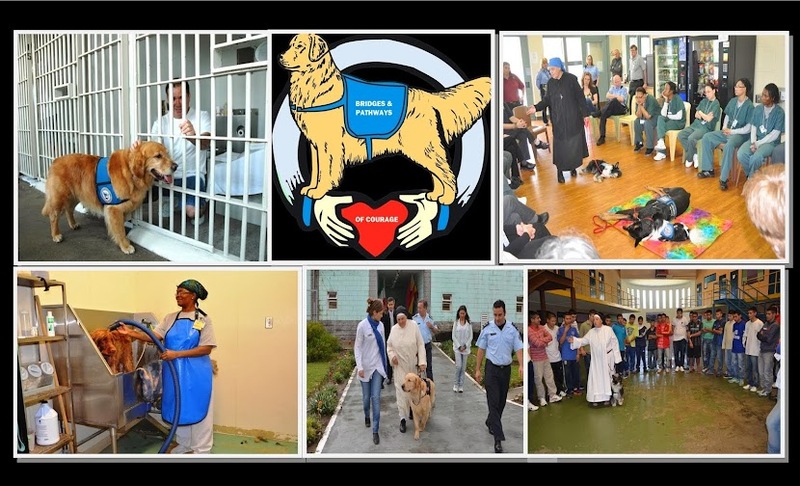 The Prison Pet Partnership program is still going after all these years where the inmates are training rescue dogs to help the handicapped. BRIDGES AND PATHWAYS OF COURAGE help find sponsors who would like to support a program, a dog, an inmate to help make dreams possible and to give talks to inmates, service organizations or anyone who is interested in a journey of Hope that helped not only my life but thousands of other lives in many countries. 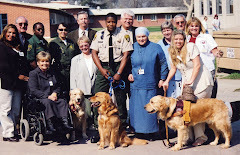 In 1981, Sister Pauline Quinn op started the first prison dog program at the Washington State Correctional Center for Women. She found two wonderful trainers to help her, Marcia Hinkel and Dawn Jecs who kept the program going after she left. Dr Leo Bustad, the Dean of the Washington State Veterinarian College was very helpful to Sister Pauline, encouraging her to keep going when it was difficult to start. 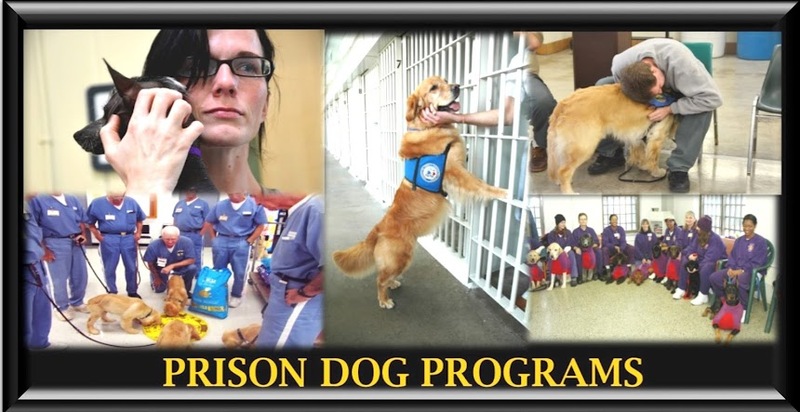 Now there are prison dog programs all over the United States, Canada and Europe.Many unwanted dogs have been saved and those who are handicapped were given a special dog to help them. Not only has this program helped the inmates learn how to become ‘other’ centered; it has given them hope in their lives. It has shown them that they can be loved. Dogs love us unconditionally. The success for change is through love. Those who have committed crimes need to be responsible and learn that there is a better life for them if they want it. Inmates have changed their lives and gone on to start dog training centers, grooming shops and worked to help the handicapped once they were released. 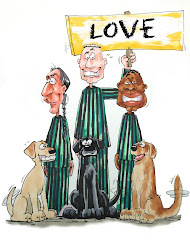 The prison dog programs helps the inmates learn how to become 'other' centered. No matter how difficult our lives have been, if we give back to others, then we also help our own life. WHAT ARE PRISON DOG TRAINING PROGRAMS? 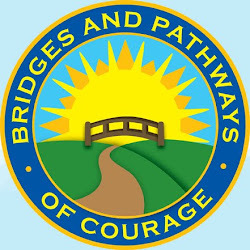 BRIDGES AND PATHWAYS OF COURAGE.